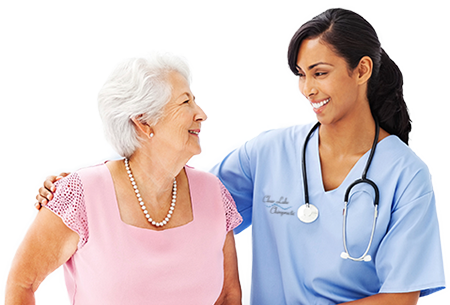 The first phase of care is referred to as Relief or Acute Care. This is designed to eliminate or reduce the majority of the discomfort and stabilize the condition in the shortest amount of time. During this phase of care, visits will be frequent. Repeated visits will be required to reduce or eliminate the symptoms. Prepare for Your First Visit. Once you have completed Initial Intensive Care the option of undergoing Rehabilitative Care will be available to you. The objective of the second phase of your treatment program is to correct any underlying spinal injury as well as strengthening the muscles, improve spinal function and provide more complete or optimum healing of tissues and organ systems. Visits occur at reducing frequency and care is supplemented by exercises and modification of your daily and work habits. Remember, many of the conditions for which people seek chiropractic care have developed over many years and therefore, it takes time to correct these conditions. Chiropractic visits, exercise and a sensible diet will help you enjoy the best of health well into the future. So now, if you do happen to become a grandparent, it really can be grand. Many think that health is merely the absence of pain or symptoms. A wellness approach to health means adopting a variety of healthy habits for optimum function on all levels – physical, mental, social, and spiritual. Because of its focus on the nerve system, chiropractic care can be an important part of a wellness lifestyle. The nerve system controls the function of virtually every aspect of our lives. So, maintaining a properly functioning nerve system is essential if you want to be your very best. Few things as complicated as your body can be ‘fixed’ and then ignored. That’s why we will recommend a schedule of regular chiropractic checkups. Like maintaining your teeth, your car, your family, or your faith, maintaining the integrity of your nerve system requires an ongoing investment. Those who want the very best, add regular chiropractic care to their other health practices. The pleasant result is often more vitality, endurance, and the capacity to enjoy life to its fullest. Good nutrition, exercise, chiropractic care, and other preventive measures are part of a wellness lifestyle. Today, more and more of us are interested in a higher level of health called wellness. Beyond merely feeling better or preventing health problems, we want to fully enjoy life by being at our very best mentally, physically, and socially. True health is only possible with an optimally functioning nerve system.